Every year, thousands of families flock to local zoos to view and 'aww' at animals. It's often an enchanting experience. Nowhere else do you get to get up close and personal with wildlife from around the world. 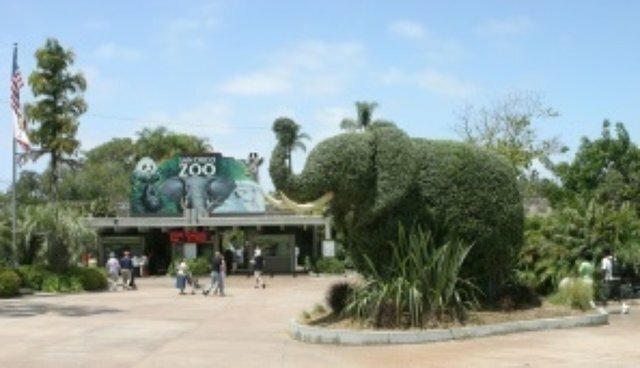 Since I was a young girl, I've always looked forward to going to a zoo and being able to spend time in an area filled with all of my favorite animals. Who can resist a yawning lion or a playful otter? Not many, I'd assume. But sadly, in the wake of documentaries such as Blackfish, facilities like zoos, aquariums and even refuges have been under fire for having animals in captivity. However, they are important. While I agree it is wrong to hold animals in small areas for entertainment, there are animals that benefit greatly from being in a zoo or aquarium. Zoos and aquariums (as well as refuges) provide top-notch animal care, entertainment AND education, if done correctly. In addition, they can rehabilitate animals and help increase the numbers of many near-extinct animals. The AZA, or the Association of Zoos and Aquariums, accredits zoos and aquariums based on a few different criteria. However, I think it is essential for zoos and aquariums to be rated on their impact on society. Sure, it's great that their hippos are well-fed, but what is the reason they have the hippos in the first place? If the zoo/aquarium educates their visitors about conserving and caring for wildlife, I think it is acceptable to house them (within reason, of course).In a studydone by the AZA, visitors were interviewed and surveyed regarding the impact of zoos and aquariums on their thoughts about wildlife conservation and care. Amazingly, visits to AZA accredited zoos and aquariums prompted 54% of visitors to "reconsider their role in environmental problems and conservation action, and to see themselves as part of the solution." In addition, roughly half of the visitors believed that zoos and aquariums were important in conservation education and animal care. That being said, even if ONE person or family changed their minds about conservation, I believe zoos and aquariums are beneficial. Places such as Seaworld, however, are where the lines begin to be drawn. Not to single out Seaworld, but they just are the most controversial example right now. There are a handful of places whose animal care and captivity I don't agree with. Highly intelligent animals, such as elephants, whales, dolphins and chimps, don't need to be in zoos or aquariums except for strictly rehabilitation or endangered breeding purposes. That's just my opinion, but I think it makes sense. Those animals require much more stimulation and general care than other animals do, and I don't think these facilities have the ability to provide that kind of care. There have been many animals saved by captive breeding including Guam rails, black-footed ferrets, California condors, Przewalski's horses, and much more. The AZA has a program called the "Species Survival Program" that allows very specific zoos and aquariums to be able to help in a captive breeding program. It has a lot of requirements to ensure the highest chance of success. And in the case that such animals may need human intervention to help their species, I believe zoos and/or aquariums need to dedicate a lot of attention to those animals. Animals that do fine in smaller spaces like say, snakes, frogs, birds, etc., I think are okay to have in these places because the chance of the facility being able to take care of them is much higher. As we discover more and more about the intelligence of animals, I think it's important that we also reevaluate how we feel about and treat the animals we take for granted. It's important that we can either leave the animal in the wild or provide the absolute best care we can for them. For more articles like this one, you can visit my blog.